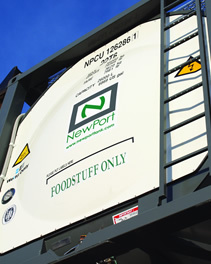 NewPort Tank Containers is a member of an integrated shipping group founded in 1960, stemming back to the earliest stages of the intermodal industry. Our rich history and experienced executive and operating personnel translates into deep industry relationships which save you money. Operating and cost efficiencies, technical competence, and a fierce commitment to safety – embody our corporate philosophy.